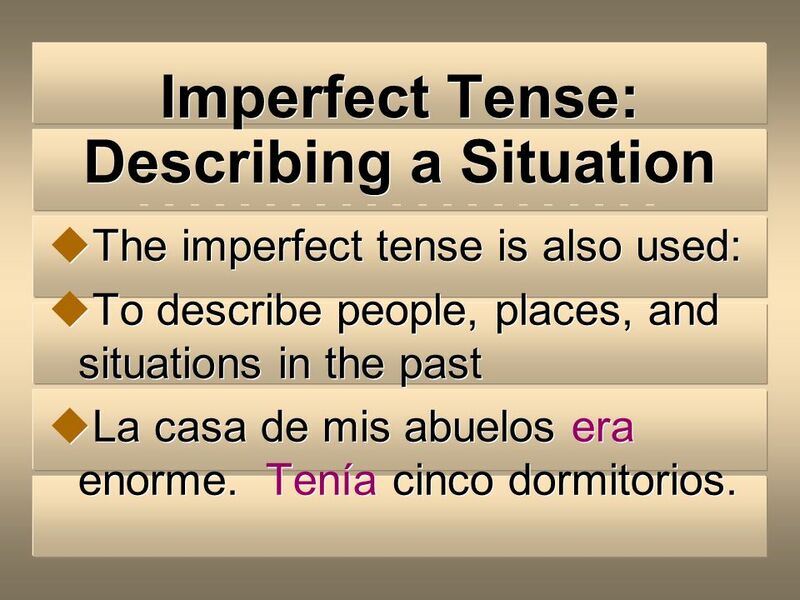 The imperfect tense is also used: To describe people, places, and situations in the past La casa de mis abuelos era enorme. Tenía cinco dormitorios. 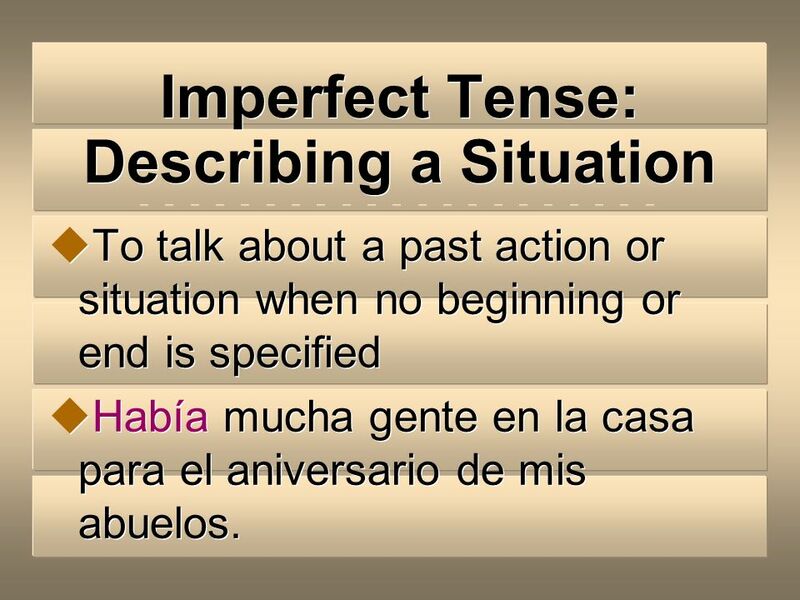 To talk about a past action or situation when no beginning or end is specified Había mucha gente en la casa para el aniversario de mis abuelos. 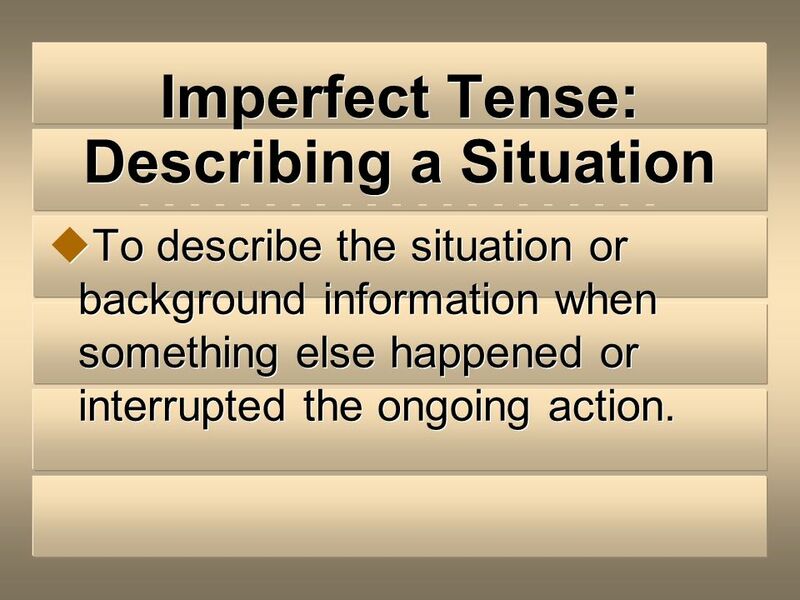 To describe the situation or background information when something else happened or interrupted the ongoing action. 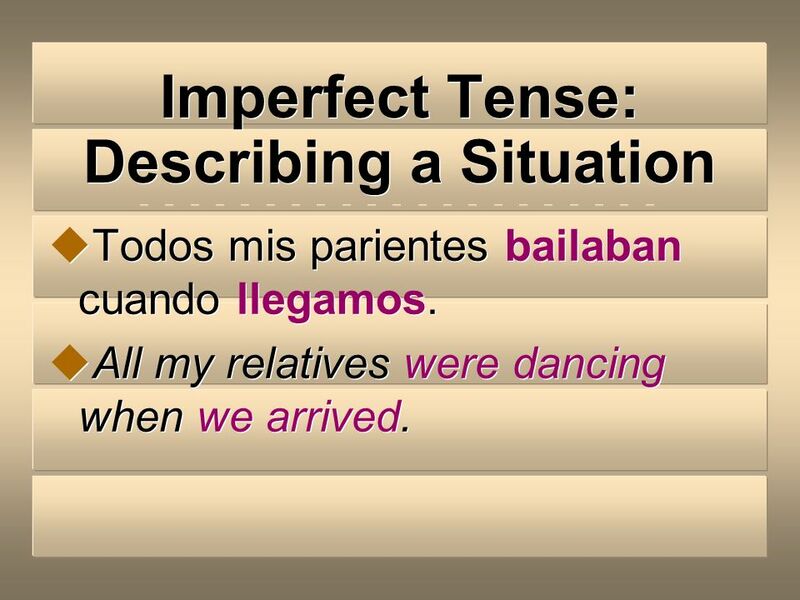 Todos mis parientes bailaban cuando llegamos. All my relatives were dancing when we arrived. 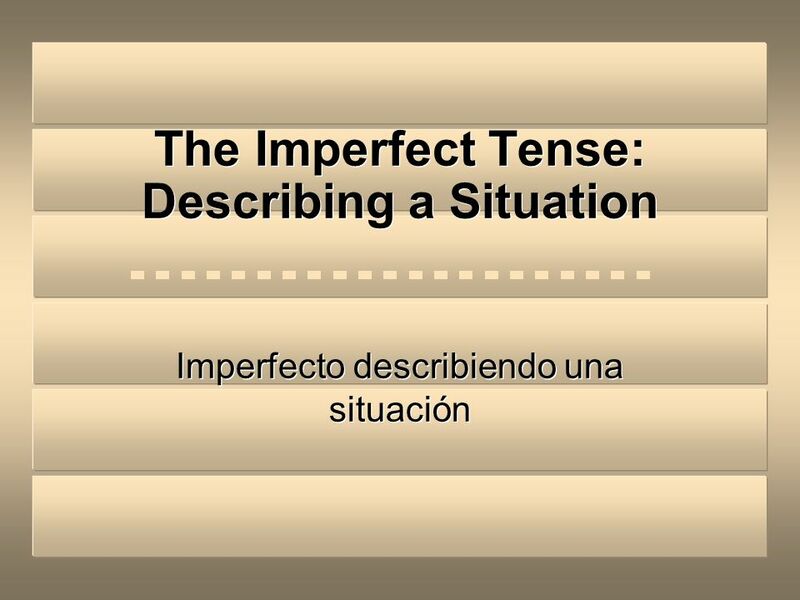 Descargar ppt "The Imperfect Tense: Describing a Situation"
Now that you have learned the forms of the preterite and the imperfect, you will learn more about how they are used. 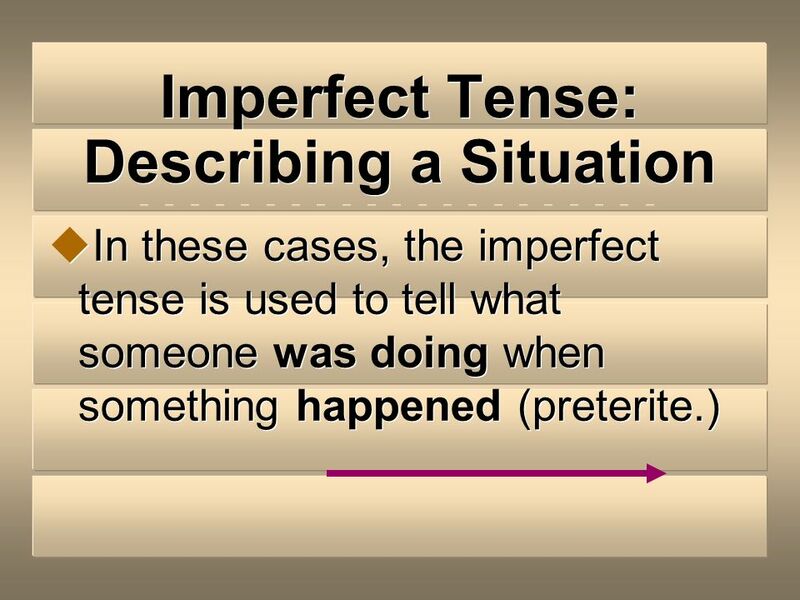 The preterite and the imperfect are.